Since 1775, contingency contracting has been an invaluable part of the U.S. military. Prior to this, the military was forced to procure goods through direct purchase, but over time the use of private contractors was proven to be more efficient and less wasteful. As a result, the use of private contractors by the government has grown significantly, particularly over the last few decades. Today, contractors support the United States in a wide range of assignments, including those related to combat missions, peacekeeping missions, stability operations, and humanitarian relief efforts. As government contractors may work in unique situations, sometimes in dangerous locations, adequate insurance coverage is a must. 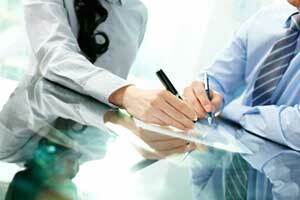 There are several types of insurances for contingency contracting. When should your company purchase foreign liability insurance? When businesses venture into foreign countries, they may encounter a wide range of unfamiliar customs, languages, and laws. Foreign General Liability insurance is your first line of defense against costly legal actions that can occur outside of America’s borders. Having an insurance policy can protect your company in the event that a foreign lawsuit or injury. It can also protect assets that are seized and ensure that your company is able to continue foreign business operations. While working in a foreign country, Foreign General Liability insurance can cover a wide range of aspects, such as injury, emergency evacuation, or immediate medical attention. Most standard business insurance policies in the U.S. do not cover the many difference exposures to injury or lawsuits that could potentially occur while outside of the U.S. Most jurisdictions overseas will often require policies that only international carriers offer. This is why an insurance policy such Foreign General Liability is a must-have when doing business overseas. Defense Base Act insurance is a form of worker’s compensation designed exclusively for employees of U.S. government contractors who work overseas. Federal laws require that all U.S. government contractors and subcontractors acquire worker’s compensation insurance for their employees while working in a foreign country. DBA insurance covers a wide range of employment activities, such as working for a private employer on a U.S. military base, working on a public works contract with a U.S. government agency, working on a contract that has been approved and funded by the U.S. under the Foreign Assistance Act, or working for an American employer who is providing welfare or similar support services outside the U.S. The Defense Base Act offers medical, disability, and death benefits to eligible employees who are killed or injured during employment overseas. The injury or death does not need to occur during work hours to be covered. If a worker is considered disabled due to an illness that occurs while abroad, compensation is two-thirds of the employee’s average weekly earnings, or up to a maximum benefit of $1,030.78 per week. In some cases, compensation may also be payable for partial earnings loss. If death occurs, benefits are half of the employee’s average weekly earnings delivered to the surviving spouse or to the employee’s child. Kidnap and Ransom insurance policies provide coverage to businesses to help minimize the financial impact of a kidnapping, illegal detention, or extortion situation. This type of policy covers any money paid to kidnappers or extortionists, loss of ransom, and similar types of expenses that can occur due to kidnapping. 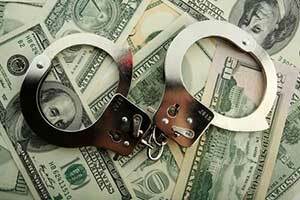 When a ransom isn’t paid, it can result in severe consequences for employees and businesses as a whole. Kidnap and Ransom insurance can ensure that everyone involved is well-protected in the event of such an incident. If you conduct business across borders, kidnapping and ransom are very serious possibilities. Having insurance in place can safeguard your company’s most valuable assets, as well as their property and people. In addition to crisis management services, Kidnap and Ransom insurance may cover a wide range of situations, such as ransom and extortion payments, in transit loss of ransom money, medical, dismemberment, or death, incident response, and other types of expenses. While you never expect such incidents to occur, being prepared by having the proper insurance is significantly important for businesses. This is especially crucial when working in high-risk areas such as Mexico, Haiti, Venezuela, and Nigeria. Accidental Death and Dismemberment insurance, or AD&D, is generally attached to a health insurance or life insurance policy. This insurance typically covers incidents such as the loss of body parts or functions, such as limbs, hearing, eyesight, or speech. In the event of an accidental death, benefits are paid to the indicated beneficiaries. However, these benefits only reach a set amount as the insurance provider puts a cap on it. Certain types of accidents are covered under this type of policy, including incidents like traffic accidents, drowning, accidents with heavy equipment, falls, exposure to the elements, or homicide. If you’re part of a government contractor firm, you may have considered the different insurance choices for contingency contracting. Options like DBA insurance are often recommended for contingency contracting relating to the military. Failure to obtain certain types of insurance like DBA insurance can carry stiff penalties, such as fines and a possible loss of contract. Knowing what type of coverage you need for your government contractors is key to protecting your business. To learn more about insurance options, contact Business Benefits Group. Located in the DC metro area, BBG has specialized in DBA coverage for more than 16 years.